Trogir sits in close proximity to Split, Croatia’s second largest city. The heart of Split is its Old Town which gradually sprouted around a giant Roman palace that was built there in the 4th century. 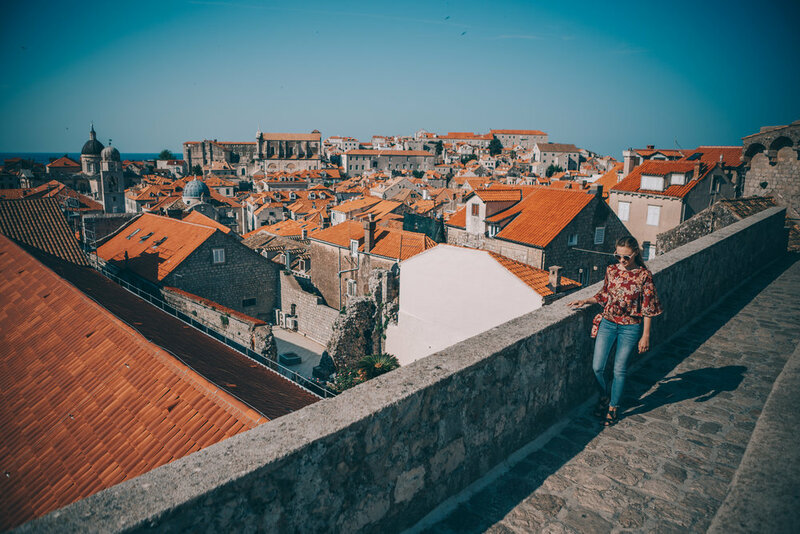 The man behind the fortress-like structure that now composes about half of the old town area is Diocletian, a Roman emperor from the Dalmatia region who rose to power from humble means. When it was about time for Diocletian to hang up the robes once and for all he had the frankly ingenious idea of building himself what amounted to a giant, secure and military equipped retirement home on the Adriatic coast. What remains today is a rich heritage of well preserved ancient architecture and artifacts, including a handful of granite sphinxes from Egypt dating back to nearly 1500 BCE. We spent the majority of the day exploring the ancient Roman peristyles and squares, looking at art, watching street performers and eating gelato. Not bad at all, Split, not bad at all. Visitors of Split will likely come across this statue of Gregory of Nin, looming across from the Old Town’s Golden Gate. Gregory is known as one of the fathers of the Croatian language, and a hero for speaking up for Slavic people when Pope Ivan X banned all languages other than Latin in church. This was a problem because very few people in this region spoke Latin. Gregory of Nin lost his fight at the time, but was not forgotten, for centuries later in 1570 the Dalmatic Region of Croatia was finally allowed to celebrate the mass in their native language. It is said to bring good luck to rub the statue’s big toe, which has been worn down and brightly polished from all the attention. From our point of view the good luck charm worked, as the beautiful, sunny days kept on comin’ throughout the duration of our trip. Turns out there are some upsides to getting up before dawn to catch a 6am car ferry back to mainland Croatia. 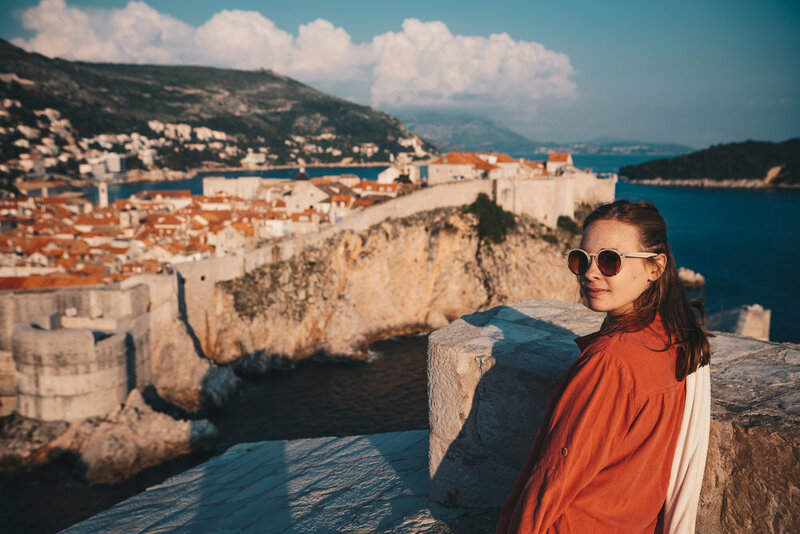 In this case it was witnessing the most stunning sunrise of our entire trip as we traversed the serpentine two-lane highway toward Mljet’s ferry landing. We were compelled to stop multiple times along the short drive to get the perfect vantage of the light show over the undulating form of Croatia’s rocky coast. After being waved onto the ferry we headed up to the top level to watch the last bit of the suns fiery ascent and bid the island of Mljet goodbye. Bittersweet as it was, we were looking forward to the next few days; we’d be meeting up with Max’s parents in Split and exploring the area with them! We dropped off our beloved rental car at the Split Airport (it had been our mobile home base for almost a month! ), met up with Max’s parents Di and Thad, and headed toward our accommodation for the next few days in a seaside neighborhood outside of Old Town Trogir. After settling in we wasted no time in exploring the sights, sounds, smells and tastes of Trogir. Pictured above is a part of St. Lawrence Cathedral’s romanesque portal created by a man by the name of Master Radovan. Interestingly enough, pretty much no information exists about Radovan other than this doorway which he completed in 1240. He somewhat conceitedly inscribed the words, “FUNDATUR VALVE POST PARTUM VIRGINIS ALME PER RADUANUM CUNCTIS…” above the door, translating to “Master Radovan was the best of all in this art”. By our last full day on Mljet, our little cove hideaway was starting to feel like home. It didn’t hurt that we were the only guests currently present at our villa (yay to pre-preak season) and thus were treated to a nice suite upgrade. On a trip this long it really is a treat to spend a few days in a remote location without the constant lingering feeling of needing to get out and see everything there is to see in each new place. 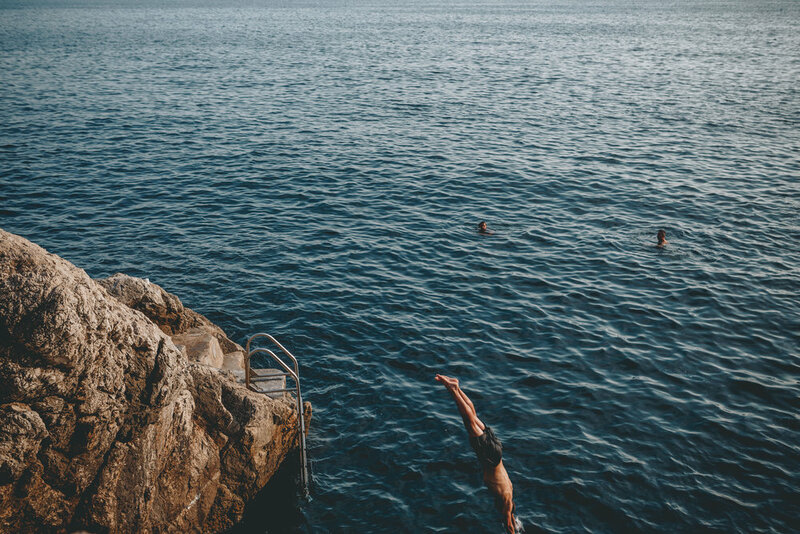 We decided to make proper use of the strong Croatian sun and our apartment’s nice infinity pool before heading out for our last Mljet adventure. One of Mljet’s most famous attractions is Odysseus Cave. The egg shaped cave has an entrance facing the sea and appears as a giant open-air gash from the land side, resulting from when part of its ceiling collapsed. Legend has it that Homer wrote about this exact cave in his epic poem The Odyssey. Apparently, the part of the story when Odysseus encounters the Cyclops in his cave may have been based on the island of Mljet. We visited Odysseus Cave in the afternoon and reached its seaside entrance after a steep hike from the road through ancient farming plots and down the Dinaric limestone shore. After passing a seemingly defunct bohemian cafe bar, we rounded a corner and could see the mouth of the cave agape; drinking endlessly from the Adriatic. Upon further investigation we realized that some hand painted symbols on the rocks around the cave entrance denoted cliff-diving platforms; some about 20-30 meters above the water. Looking down at the water below even from a much lower platform definitely gave a sense of vertigo. The significant depth of the cave’s channel was obvious, as the crystal clear water descended into a stomach turning midnight blue color. Still, one cannot simply come to Odysseus cave and not jump in (at least, one that is Max - not Addie). After a few jumps from novice height, we felt we (Max, and Addie by proxy) had properly experienced the landmark and headed back toward our car with a satisfied feeling. 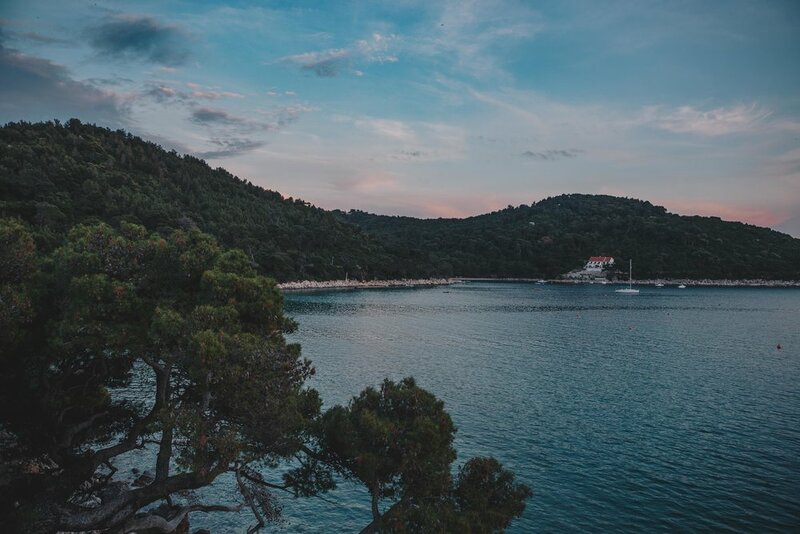 We devoted our first day on the island to exploring the 54 square kilometer Mljet National Park, for which the entire western part of the island is reserved. The park was gorgeous, uncrowded, and had a discounted entrance fee as we were still months ahead of peak season for the region. We wasted no time beginning a moderate hike to Montokuc lookout point, which is perched on one of the park’s rocky hills and offers some of the best views of the area. From the old fire watch cabin we could see the crystal waters of the Park’s saltwater lakes (named Veliko and Malo, ‘large’ and ‘small’) and the Adriatic stretching out into oblivion beyond. We hiked down from Montokuc to head towards the ferry (complimentary with a national park ticket) which would take us to visit a small island in the middle of the park’s larger lake. 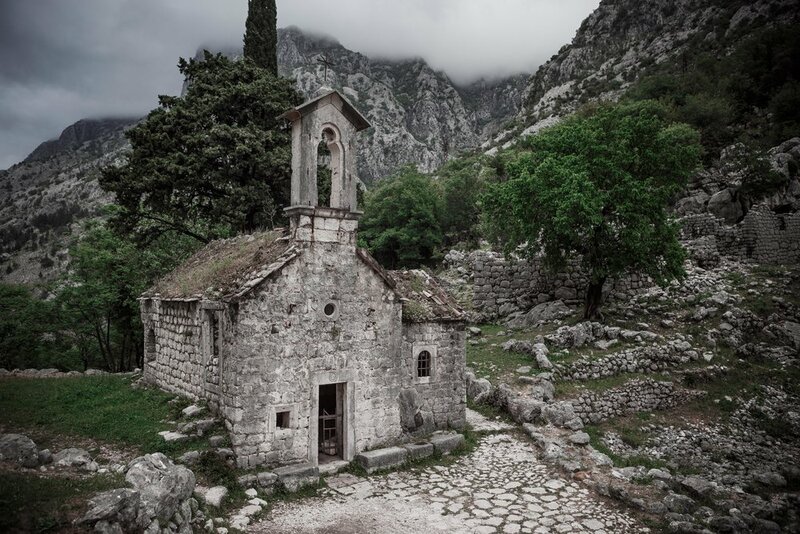 Sveti Marija is home to a Benedictine monastery that dates back to the 1100’s along with some scattered roman ruins. On the island we popped in and out of a cool old cathedral that had some impressive stained glass, walked around the ruins a bit and then headed to a lakeside promenade where we took a dip in the pellucid waters and read our books until the ferry returned.